Volunteers have been working hard in partnership with the Little Miami Watershed Network to place storm drain markers around the city to remind residents to protect our watershed. Must I be a City of Kettering resident to volunteer for the City of Kettering? No. Many of our volunteers are from surrounding communities. You need only have the willingness and desire to contribute to the success of the volunteer program. How many volunteers are in the City of Kettering’s volunteer program? Currently there are over 1,000 volunteers in our program. Volunteers need to be at least 14 years of age. We sometimes allow younger youth groups to assist with special projects providing an adult accompanies the group. Volunteers are expected to dress neatly in clothes suitable for the job they are performing. If there is a specific dress code for the volunteer assignment, the volunteer will be notified. Is there an orientation process for new volunteers? The City staff person who will be your supervisor will orient you to your job. I work during the day. Do you have a need for volunteers on weekends and in the evenings? Yes. The City holds several special events throughout the year. Many of these are in the evenings and on weekends and require assistance from volunteers. Can I specify the department in which I would like to volunteer? Yes. If you would like to volunteer for a particular department, you can indicate this on your application form. When a position in the department becomes available, we will notify you. May I volunteer for multiple departments? Absolutely! Many of our volunteers work in several departments. 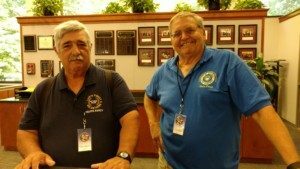 For example, some of our volunteers work at Fraze Pavilion during the summer and assist in other departments during the winter months. I reside in another state for a few months each year. Can I still volunteer during the months I am here? Yes. Just indicate this on your application. How do I become a volunteer at Fraze Pavilion? To become a volunteer at Fraze (or any department), you must complete a volunteer application. How do I go about becoming a volunteer? The first step is to complete an application. Once we receive your information we will contact you. What volunteer positions do you have available for youth? Youth volunteers are needed during the summer at Kettering Recreation Complex, Rosewood Arts Centre, and Habitat Environmental Center to assist with camp activities. Youth volunteers must be at least 14 years of age. Throughout the year, our Parks, Recreation & Cultural Arts Department hosts several special events in which youth volunteers are needed. We also welcome the opportunity to work with youth groups wishing to provide service to the community. Just contact the Volunteer Office at (937) 296-2433 to inquire about upcoming activities.